More snow in the forecast today. We had a foot on Thursday, another 3 inches predicted today and then another storm to come on Monday. This weather has put a damper on my quest to see a dozen Snowy Owls and has also wreaked havoc on photo opps. I spent a few hours at Pennypack on the Delaware after work trying to see a Short-eared Owl. The owl didn't make an appearance but I did find a few birds to photograph. 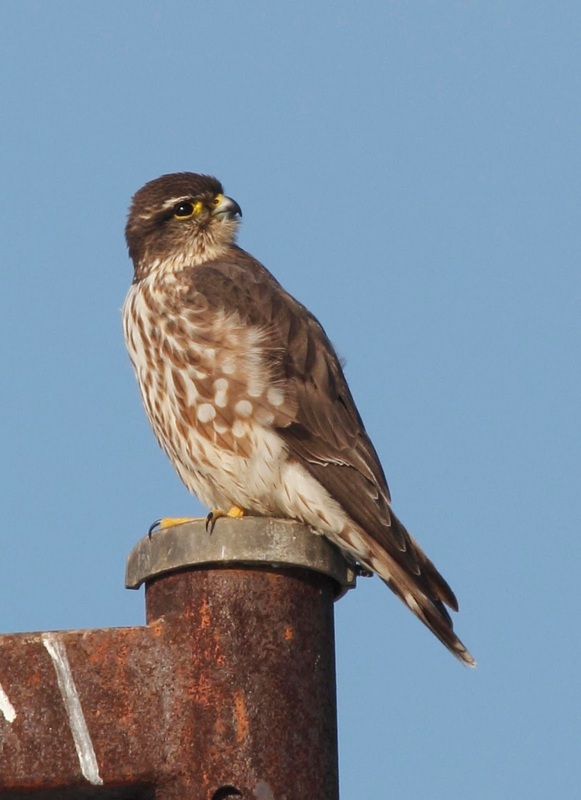 I was met at the gate by this Merlin perched on his favorite light post. 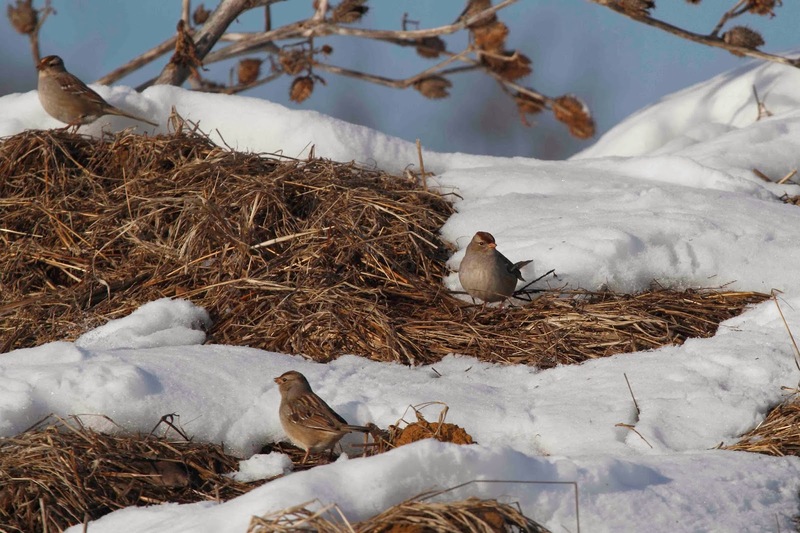 I found these White-crowned Sparrows looking for food in the compost pile. There are very few open areas for these ground feeders this winter. 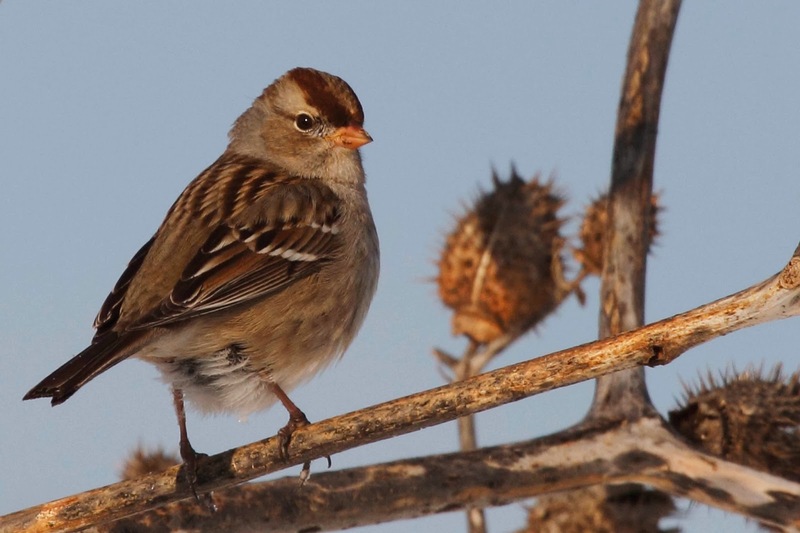 One of the sparrows hopped up into a weed and posed for me. 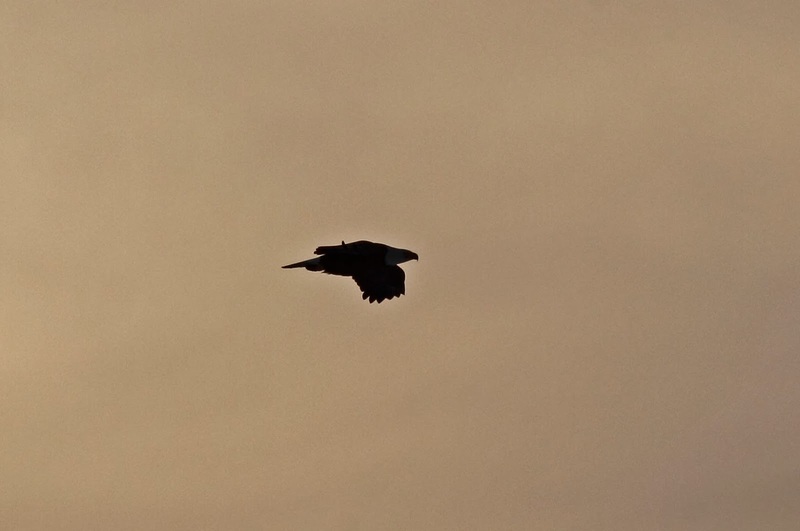 This Bald Eagle cruised by at sunset heading back to his nest. This pair has been nesting here for a few years. You can see the nest from the parking lot which is nice. Hopefully, I will be able to get out tomorrow. Sigh. I'm ready for spring. You could learn to ski and start enjoying the snow. A sunny attitude always makes life look brighter. When have I ever had a sunny attitude?